WHEN'S THE NEXT ERASURE RELEASE? As soon as we have any news on a new album we’ll announce it in the LATEST NEWS section and via our EMAIL NEWSLETTER. WHEN'S THE NEXT ERASURE TOUR? 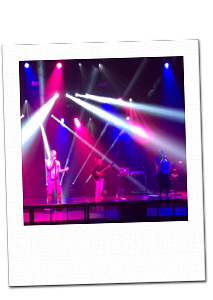 As soon as we have any official news about any Erasure performances we’ll announce them via our EMAIL NEWSLETTER. We won’t post any news on this website until it has been confirmed to us by Erasure and their management. Sometimes news about the band does appear elsewhere first, that’s the nature of the internet, but if it’s not on this website then you shouldn’t take it as confirmed! IS IT REALLY ANDY AND VINCE ON FACEBOOK AND TWITTER? Andy is on Twitter, and his account is actually operated by him – although the EIS sometimes uses it to post news messages – and Tweets fairly frequently. Vince is on Twitter under the name of his record label, VeryRecords. Both also have official Facebook pages which they can log into and post on if they want, but those pages are generally updated by the EIS and not by Andy or Vince themselves. HOW CAN I BE THE FIRST TO GET ERASURE NEWS? 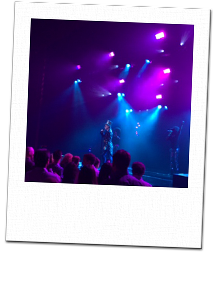 Get in touch via the CONTACT page and if appropriate we can forward your message to Erasure’s management for you. This isn’t something we can arrange, however both Vince and Andy are usually happy to meet people after shows for pictures and autographs. We get so many requests for autographs that this isn’t something we can arrange, however both Vince and Andy are usually happy to meet people after shows to sign things. WILL THE BAND DEDICATE A SONG TO ME AT A CONCERT? 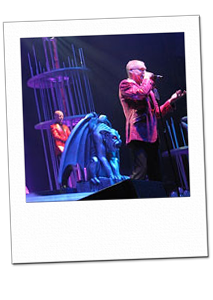 CAN I BOOK ERASURE FOR A CONCERT? 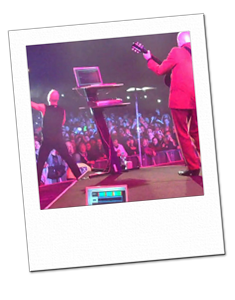 Get in touch via the CONTACT page and if appropriate we will put you in touch with the booking agent for your part of the world or forward your message to Erasure’s management for you. We don’t deal with media requests via the website, instead they need to be directed to Erasure’s record label, Mute. When there’s lots going on with the band there’s generally an email newsletter every week, and even when it’s quiet it’s unusual for us to go for more than two or three weeks without sending anything out. With that in mind if you think you’re not receiving newsletters then it may be that the junk/spam settings on your email account have changed and our emails are going into your junk folder or are being rejected by your host. Check your setting and check with your ISP that they haven’t made any changes at their end. If our emails are bounced back to us several times in a row (this can happen if your email account is inactive for a while or is too full to allow new messages to be received) then you will be unsubscribed automatically and you might need to reactivate your account by going to the EMAIL NEWSLETTER page and signing up again. 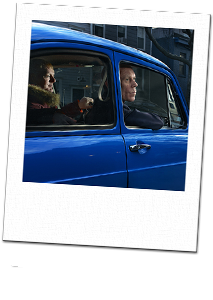 The Erasure shop is run for us by LEXER MUSIC and it’s them you need to contact with any shop related queries. Get in touch via the CONTACT page and we’ll do our best to help! We do get a lot of email though, so please be patient if it takes a few days to get back you you.